Hantaviral diseases have been recognized for hundreds of years but, until 1976, they had not been associated with an infectious agent. When Lee and colleagues isolated what is now known as Hantaan virus, the techniques they introduced allowed further investigations into the etiology of the classical hantavirus disease, hemorrhagic fever with renal syndrome (HFRS), now known to be caused by any of multiple hantaviruses. 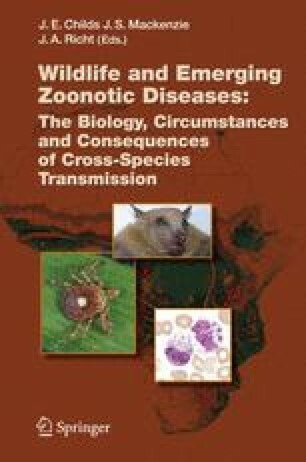 The discovery of hantavirus pulmonary syndrome (HPS) in the New World, and that it also can be caused by any of multiple hantaviruses (family Bunyaviridae, genus Hantavirus ), has opened an entire field of epidemiologic, virologic, molecular, behavioral, and ecologic studies of these viruses. There appears to be a single hantavirus-single rodent host association, such that understanding the idiosyncrasies of each rodent host species and the ecologic variables that affect them are recognized as critical if we are to reduce human risk for infection.